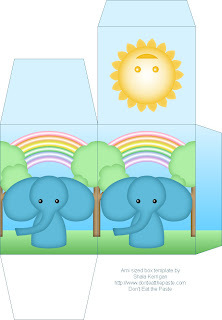 Don't Eat the Paste: Elephant Box- new size! 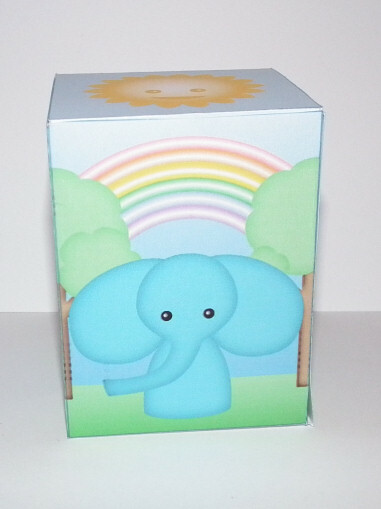 This box takes 2 sheets of cardstock and measures 3 inches wide by 4 inches tall by 3 inches deep. 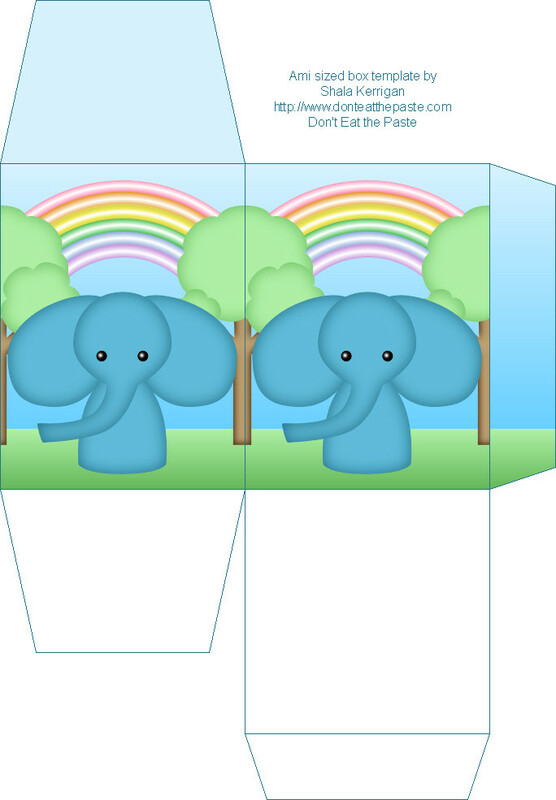 It's just the right size for this little elephant! 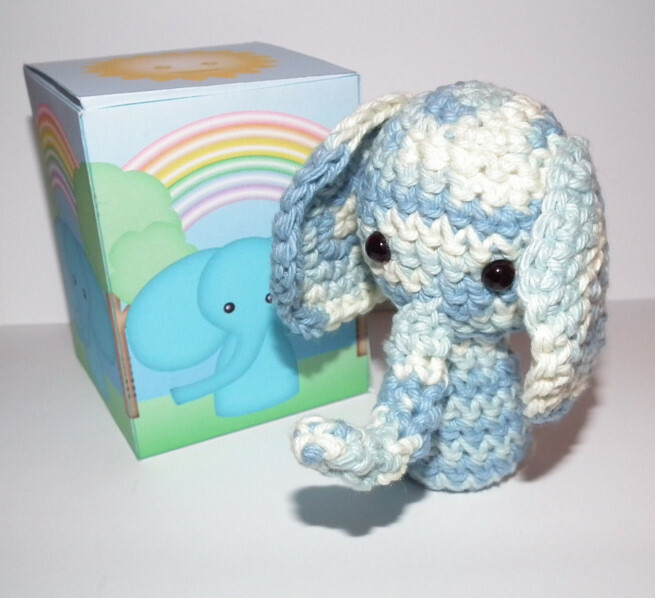 You can get the crocheted elephant pattern either from Ravelry or from my Etsy shop for 2.00. 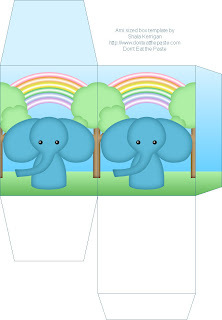 The blank templates is available from my Etsy shop for 1.60. 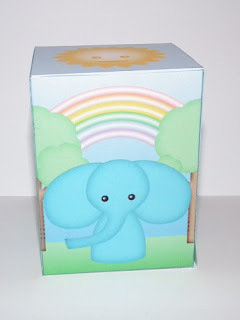 The cute box is available here for free! Click on the images for the full sized versions, print at 100 ppi. I hope you like this as much as I enjoyed making it. 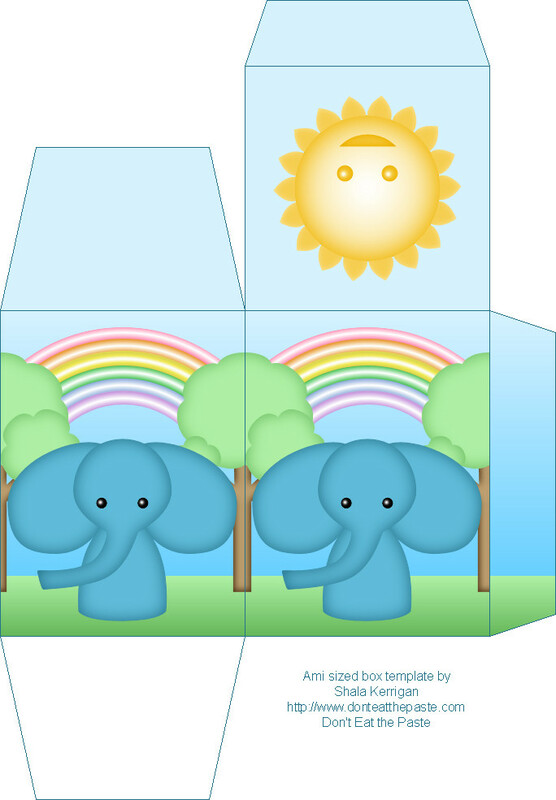 The elephant was a lot of fun to draw. That is WAY cute! And I love the new size! Thanks so much, I'll be linking.